Plant TifBlair Centipede seed in May, June, and July for best results. Your latest summer or fall TifBlair seed planting date is best determined by your growing zone. 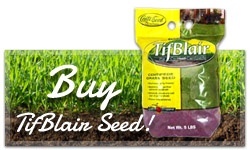 The standard guideline is to plant TifBlair seed a MINIMUM of 60 days before you expect the first frost in the fall. If seed is planted too late in your growing season, even if it germinates, it might not have sufficient time to become hardy enough to survive fall and winter conditions. 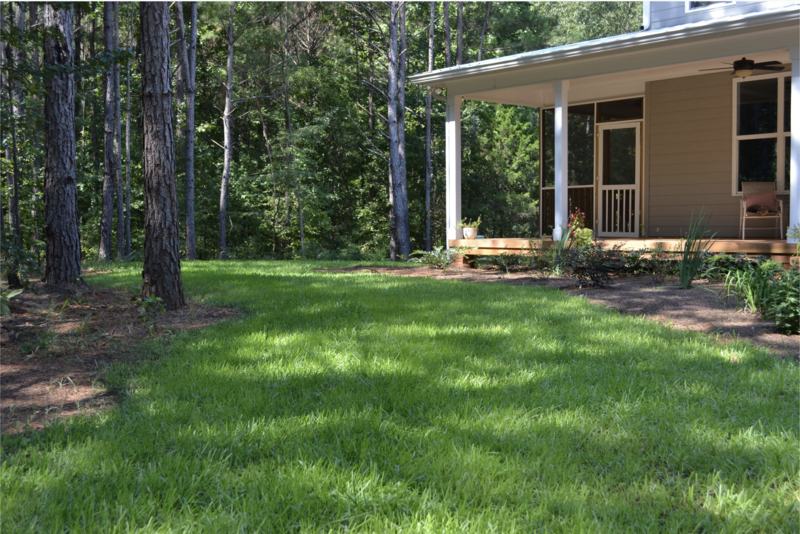 Using plenty of seed is the least expensive part of establishing a good lawn. "Saving" on the cost of seed results in spending more on watering and weeding. The rates below produce a good lawn in 2-3 months of summer growth. Make a sketch of your lot and then measure with a tape the area you wish to seed. Calculate the square feet of seed needed by multiplying length times the width of the area measured. Deduct a reasonable amount for buildings, paved drives, and walks. For assistance with odd lawn shapes, use our Yard Area Calculator. 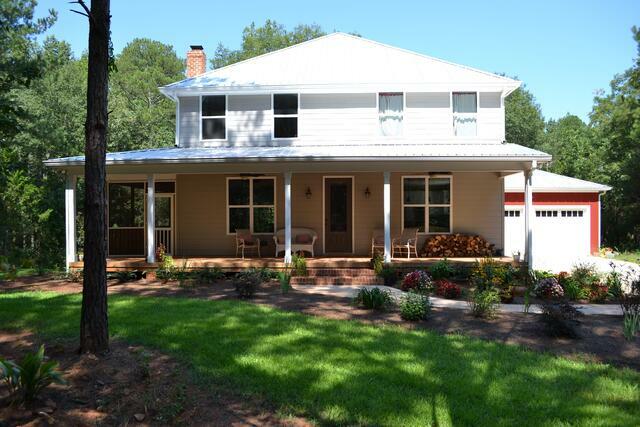 Each 1lb bag will cover up to 4,000 square feet. Do not use any type of pre-emergent or “weed and feed” weed control for at least 90 days before seeding. Such chemicals will inhibit germination or kill the TifBlair seedlings as they sprout! Exception: A non-selective weed-killer (that does not contain a long-lasting chemical, i.e., a pre-emergent herbicide) sprayed to kill existing vegetation during seedbed preparation and before seeding TifBlair is safe. Till, grade, level, and smooth the bare soil in the lawn planting area. Remove debris, sticks, and stones. Centipede thrives on an acid soil with a pH range of 5.0 to 6.0. Do NOT apply lime to your seed bed unless soil tests for a Centipede lawn indicate a need. 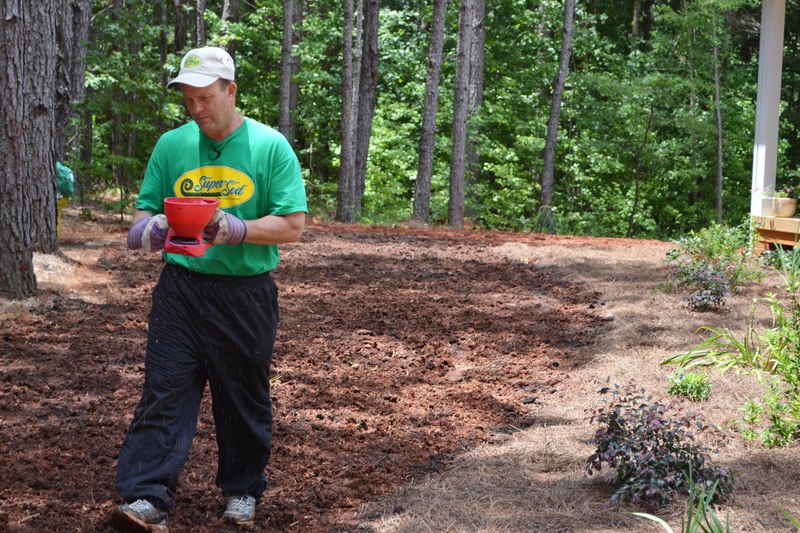 Apply 10 lb balanced lawn fertilizer or Super-Sod’s “Total Lawn Food 5-10-30 Plus Iron” per 1,000 square feet. 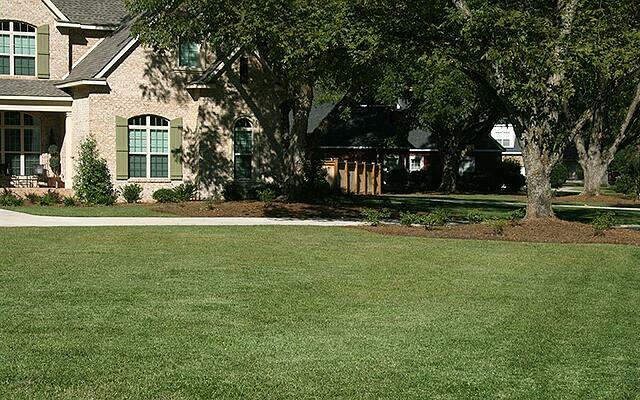 All grasses perform better where fertilizer is tilled into the soil. 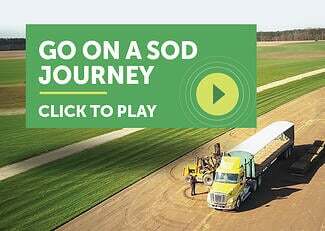 Distribute seed: Use a Cyclone-type seeder. Divide seed in half and go over the area twice, distributing from east to west and then north to south to insure uniformity. Lightly rake to insure good seed/soil contact - no deeper than 1/4 inch (adequate light speeds germination). Use a mulch, such as wheat straw, on sloping areas where erosion might be a problem. Distribute straw thinly so as not to shade young TifBlair seedlings. Superior seeding results are gained by using Soil3 organic humus compost as a treatment over newly applied turfgrass seed, instead of wheat straw. Apply non-selective herbicide (note limitations and directions above) to eliminate existing lawn grass and weeds. Wait 10 days until the lawn is killed out, then scalp the lawn by setting your mower to its lowest cutting height and mow, bagging and removing clippings and any surface debris. Rake, scratch, or aerify the lawn surface to loosen the soil and create a good seedbed. Control weeds by mowing frequently (at a 1.5" cut height) until TifBlair is established. Going forward, in early spring a pre-emergent herbicide application will reduce summer weeds.